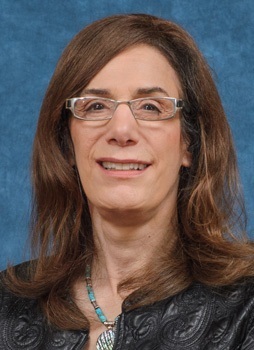 Judith Faulkner's entrepreneurial journey could well be a case study for people worldwide. Judith Faulkner, the founder of Epic Systems, is a self-confessed introvert. The Wisconsin-based entrepreneur, who is simply known as Judy in the healthcare industry in the US, is one of the few women techies globally to have set up a multi-billion dollar company. The 72-year-old, who set up Epic in 1979 with an investment of $6,000, part of which was provided by her parents, has grown the company into a billion dollar empire largely by word of mouth. But this week, she found herself in an unusual spotlight in India. Faulkner became a household name in the local IT industry after a US federal jury ordered Tata Consultancy Service (TCS) to pay Epic $940 million after an employee was found to use credentials from a previous contracting job to access an Epic Web portal containing confidential information. Epic had filed a lawsuit against TCS in 2014, accusing the Indian company of stealing trade secrets, confidential information, documents and data. Faulkner, who has an undergraduate degree in mathematics from Dickinson College and a Master's in science from University of Wisconsin, is a highly respected figure in the US. For her contributions to the healthcare industry, she has repeatedly figured among the top 10 in the Forbes list of America's self-made women in the past few years. Additionally, she also ranks 722 on Forbes' 2016 list of billionaires in the world with a net worth of $2.6 billion. Faulkner's entrepreneurial journey could well be a case study for people worldwide. From a company worth $6,000 in 1979, she has grown Epic to an over $2.2-billion company without raising any equity investment from either venture capital or private equity firms. More than anything else, keeping the company private has been extremely important to her. Her company also stands out for spending very little on marketing and promotion. According to a Forbes article, just about 1 per cent of Epic's employees are in sales and marketing roles. Yet, almost half of American's health information is on Epic. According to the company's website, 190 million patients have a current electronic record on its website. There services are used in community hospitals, children's organisations and retail clinics, among others. It also has several of the country's top healthcare providers among its clients. Among them are Cleveland Clinic, Geisinger Health System, Johns Hopkins and Mayo Clinic. "When I started the company, I had no idea how to do marketing, so we just didn't do it. What I did know, because I was a technical person, is to be able to write good software. So we focused on writing good software, and we focused on doing good support. And then fortunately, word of mouth did the rest," Faulkner said in an interview to Becker's Hospital Review. Her motto in life is to "do good, have fun and make money." Living up to this, she transferred her shares to a charitable foundation last year. The foundation would operate and fund not-for-profit organisations in healthcare and other areas. While giving away her fortune, she said, "I never had any personal desire to be a wealthy billionaire living lavishly."